PCAOB praises communication with audit committees; what’s being discussed? The PCAOB released a report finding that auditors have had a high rate of compliance (93%) with required communications with audit committees, based on PCAOB inspections. What is the nature of audit quality issues or deficiencies being discussed in these meetings between auditors and audit committees? Hints may be in last year's Audit Committee Dialogue released by the PCAOB, and in the 2015 report of inspection results issued by the International Forum of Independent Audit Regulators (IFIAR). If quality is at the core of the audit function, why audit the auditor, some may ask? 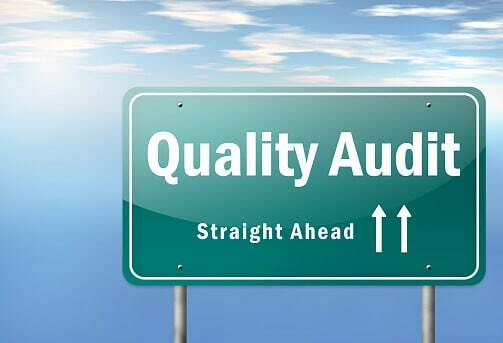 The answer – with all due respect to Mr. Ford – is that quality is often enhanced when someone is ‘looking.’ In fact, even the threat of ‘looking’ can impact an auditor or company being audited. It’s therefore good news that the overseer of public company audits, the Public Company Accounting Oversight Board, announced yesterday that, based on its inspections of audit firms conducted in 2014, 93% of audits are in compliance with the PCAOB’s standard on Communication with Audit Committees. But, is that ‘enough’? Communications between auditors and audit committees are going well, but what is being discussed? Although the bulk of those discussions presumably covers issues specific to a company’s financial reporting and audit, what about the deficiency rate identified by the PCAOB on the firms’ compliance with PCAOB auditing and quality control standards? Close to one year ago, on May 7, 2015, the PCAOB issued the first installment in a new outreach program called Audit Committee Dialogue (ACD). The PCAOB’s initial ACD was significant in providing high level inspection results in a readily understandable manner, and in articulating specific questions that audit committees could direct to their auditors. Additionally, the ACD included information about emerging issues. The PCAOB also cautioned audit committees on the risks associated with ‘referred’ audit work conducted on affiliates of U.S. companies overseas, on which the overall deficiency rate had doubled, from 21% in 2010, to 42% in 2013. The 42% overall deficiency rate found by PCAOB inspectors on cross-border ‘referred’ audits approximated the 43% overall deficiency rate (down from 47% in 2014) for global audits generally, based on a report issued earlier this year by the International Forum of Independent Audit Regulators (IFIAR).. The ‘indepth conversation’ between IFIAR and the global audit networks referenced in Ferguson’s comments further above, included a commitment by the six largest international audit networks to reduce audit deficiencies by 25% within the next four years. It will be interesting to see if a discussion of audit quality, specifically relating to inspection findings, will be on the agenda for the upcoming PCAOB Standing Advisory Group (SAG) meeting slated for May 18-19. Separately, the growth in cross-border business, audits and regulatory influence is a factor in an AICPA proposal to further evolve its joint venture with the Chartered Institute of Management Accountants (CIMA). The proposal would bring together the operations and strategy of the two associations under a single umbrella, while maintaining the separate membership bodies, with a combined membership of over 600,000 members worldwide. Read more in Acting Today for a Stronger Profession Tomorrow, and CPAs to Vote on Plan to Create International Association.